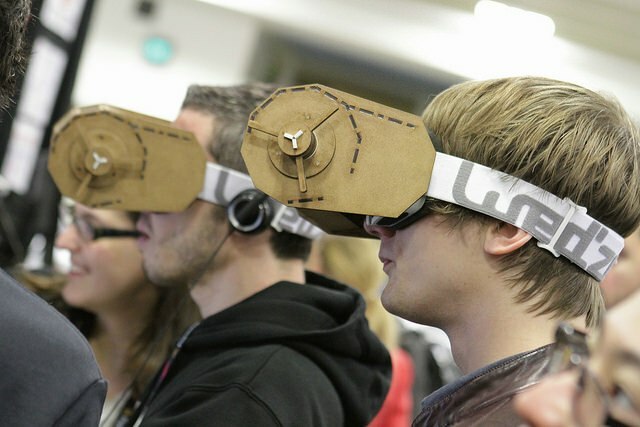 Have you ever wondered how to make your learning as addictive as video games? Ever thought about why these games make you fail 50 times in 10 minutes and you're still somehow pumped up to try again? Let's talk about The Mastery Learning Pattern and find out what we can apply from video games in regards to mastery AND failure. Let's get this straight right from the start: The Mastery Learning approach comes from more traditional approaches to teaching and learning, and you may be thinking it’s something brand new. In fact, Mastery Learning has been around for quite a while. 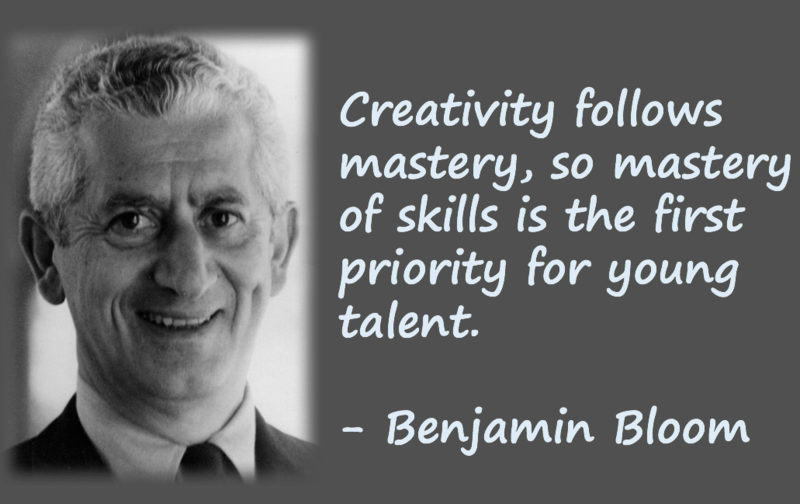 Even though the term was coined by Benjamin Bloom roughly 40 years ago, Mastery Learning has still been largely ignored. Most institutions today still prefer a more medieval method of instruction. However, one industry that has embraced The Mastery Learning Pattern -and with great success- is the video game industry. And “great success” is an understatement. 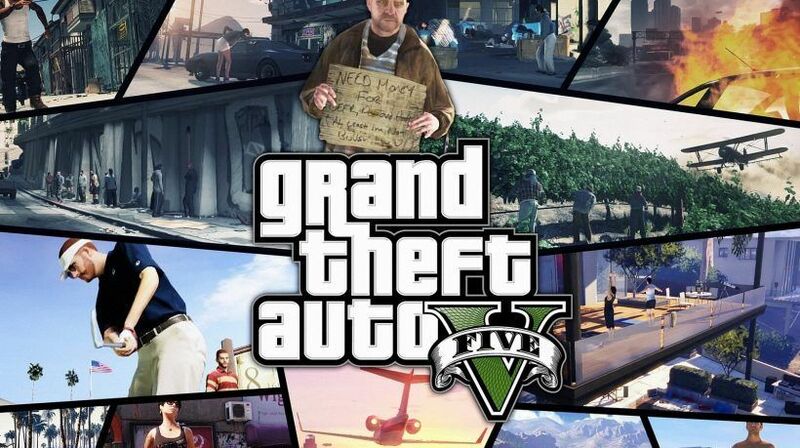 One game in particular, Grand Theft Auto 5 made a billion dollars in just 3 days. And that’s only one game! What’s amazing about this is that while video games commonly apply mastery principles, to the delight of their users, the education and eLearning industry still hasn’t caught on. There has been evidence for over 30 years that Mastery Learning leads to higher levels of achievement over traditional methods. But like I said, this has been mostly ignored. What can’t be ignored though, is video games, and what they’ve done with mastery. And, it’s kinda funny the gaming industry is actually using a strategy that was initially developed for education. This article is not about “gamification”— which is the idea of applying game elements to different industries.  What this article is about is The Mastery Learning Pattern inspired by presentations done by game designer Will Wright. If you’re not familiar with Will Wright, just know he’s a legend in the gaming industry. Wright is the creator of one of the best-selling video game series of all time: The SIMS. 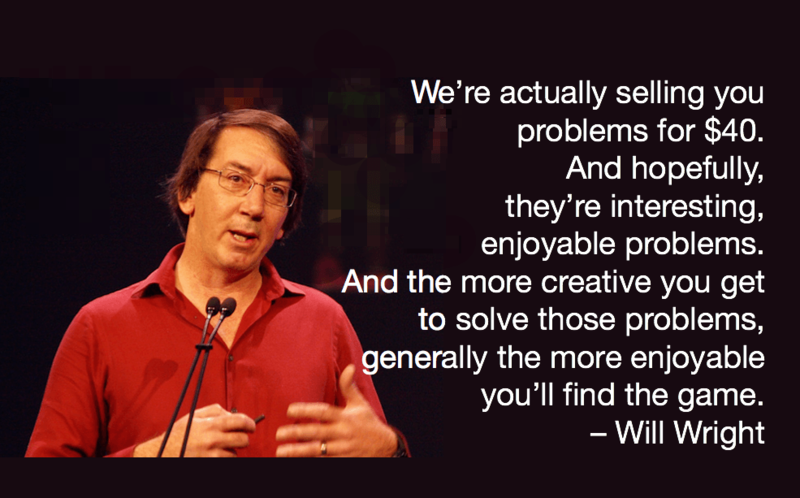 Let's learn from game designers, like Will Wright. People like him have been applying mastery patterns for a long time, and it’s about time people who design learning (people like you and me?) sit up and take notice. Great game designers know they’re programming for two different processors: One is technology, and the other is the players mind. And as you can probably guess, The Mastery Learning Pattern is programming that takes place on the psychology side. In education, this involves designing your course in a way that learners are “helped to master each learning unit before proceeding to a more advanced learning task…”. This has less to do with your content or subject matter, and more to do with learner psychology. In this way, it’s very similar to how Wright thinks about game design. Now, have you ever heard someone say that a video game is "addicting"? Or ever been "addicted" to one yourself? It’s likely because of Mastery Learning. Many of the most popular games are carefully designed to progressively challenge players just enough to stretch their current skill level, but not challenge them too much where they could be overwhelmed and frustrated. The challenges are also carefully sequenced to build on each other and, usually, can’t be skipped until the player has gained a certain level of proficiency. The takeaway is this: “...to prepare and arrange a series of motives…”. Sounds kinda like a video game, doesn’t it? They’ve got lot’s of "mini motives" to keep you moving. Like, if you complete this challenge you can get this special sword… which will let you kill the dragon... so you can get into the castle… and there you will find... yeah, you see my point. For learning, creating a series of motives can be achieved by associating learning specific skills with small and progressive wins. 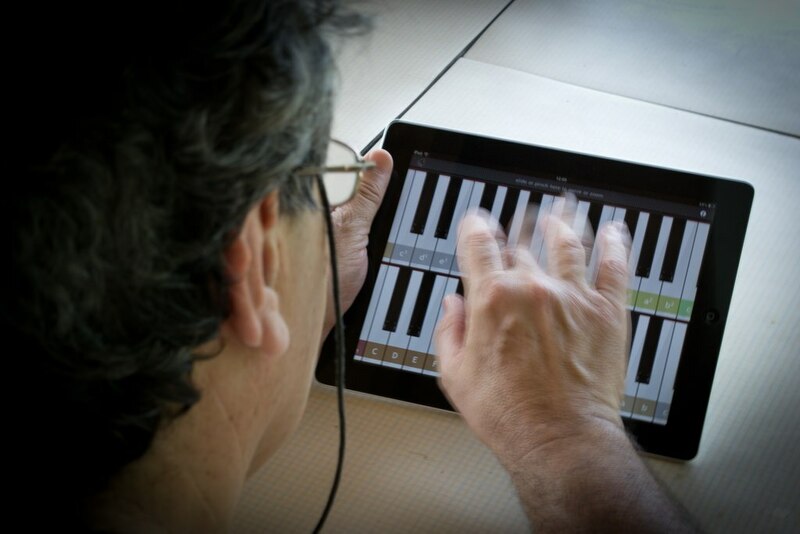 If you are learning to play the piano - what keeps you motivated to go on and learn about the different melodic intervals, is to be able, at the end of each lesson, to show off playing a whole new song. Montessori was onto something. And our gaming guru Will Wright actually attended a Montessori school up to sixth grade. In his Ted Talk he described how her educational philosophy shaped his game design decisions. 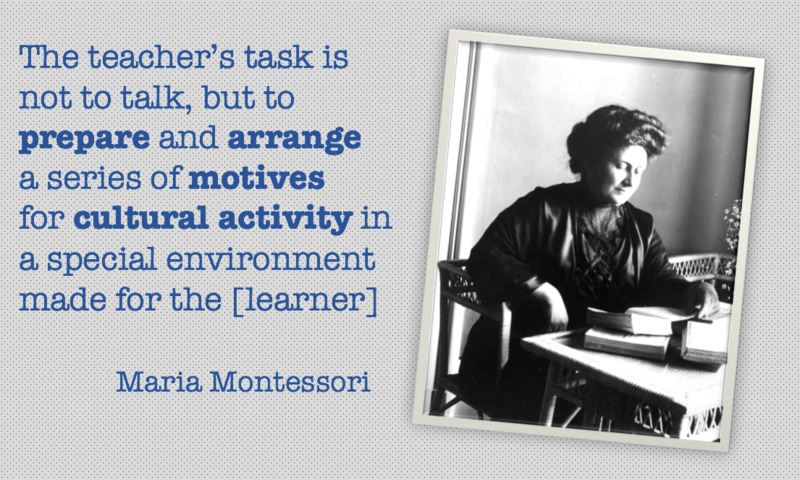 So, what Montessori was calling a “special environment” is basically “your course” - the environment you build to instruct and where your learners learn. You see, when you’re playing a game, any game, what you’re actually doing is exploring different sets of possibilities. There’s a sense of freedom in games that provide large open-ended possibility spaces, just like Grand Theft Auto 5. A million players can play Grand Theft Auto, and they’ll all solve the game differently. They’ll each encounter different problems. Because, when you really strip away the technology... at the foundation of every video game are branches of problems. By now you should be seeing a strong similarity between game design and course design. Underneath both needs to be an element that motivates people to solve problems … to help them learn a game - or learn your subject matter. In Wright’s “Possibility Space” he is simply using an educational philosophy. He’s constantly envisioning the different paths a player might be able to take in it. He’s fleshing out problems and filling out the world with all the things that may potentially happen. Wright never calls his process Mastery Learning, but that’s essentially what he’s doing. When he’s envisioning a path a player may take, he’s actually organizing and breaking down his games into smaller discrete lessons that follow a logical progression. Now, of course, the “Possibility Space” of your course will never be as large as a video game, but your process for developing a “learning path” should be the same. Keep in mind this requires a great deal of work. Game designers have a lot of data at their disposal, and they’re constantly measuring how players move through their game. This allows them to adjust their game accordingly or apply additional paths and problems. You, on the other hand, probably don’t have the luxury of this much data. But your goal should be the same: Find interesting new learning paths that will lead to interesting new possibility spaces. For example, if you have the ability to plan ahead in your course, you can not only plan out the learning path for the learner who is meeting all of your criteria and working through the content at the desired pace, but also a path for those that get a little bit ahead or start a little bit ahead. At certain times in your course, you can offer up an enrichment activity that the learners can participate in, while others catch up. This enrichment activity can be an independent or a social group activity that encourages learners to apply the concepts in new, interesting, and related ways but doesn't move the learner beyond the flow of the course - it augments and deepens their experience of that particular topic. This can include projects, games, even peer mentoring. It just can't be busy work - it has to be a reward for the effort. All of this careful sequencing and progression requires you to observe and measure your learner’s behaviors, as you need to see evidence learners are understanding the material before you move them onto the next lesson. Observing and measuring is a key part of the Mastery Learning Pattern in the same way observing and measuring is a key part of game design. You should always be measuring your course and learning activities to get a sense of where learners are hitting brick walls, or where they lose interest. Now, this leads me to an essential ingredient of Mastery Learning: Feedback. Feedback is very important for games. When a player is interacting with a game they’re doing something and getting feedback from it. This starts right with the controller. A player moves the joystick, presses a few buttons, and sees what happens. Once the player discovers how to move their character properly, that’s the first level of successful feedback. Consider game play as “loops and loops of feedback”. Each loop is a task you need to master to progress or a level you need to complete. When you’re applying Mastery Learning to your course, you will be dealing with loops as well. Your learners, at every step, need to earn success at the first loop before they get access to the next loop. Learning your subject matter this way is the same process a player uses to learn to play a video game. Wright is referring to the feedback learners receive while they are working on -or tripping over- a subject. What are the interaction loops? And what are the success and failure sides of those interaction loops? Now, regarding success and failure, I believe the education industry has failed to grasp this important fact: It’s actually more important to think through the failure side than the success side. You see, it’s the failures that have the most impact on retention and a learner’s future performance. Especially when the failures have been amplified - where the gravity of the situation is closely linked to the consequences of the real world. The benefit of a granular breakdown of skills into achievement “loops” makes measuring successes and failures easier for you. You’ll be better prepared to measure where your learners need help and provide it where it is needed most. However, instead of simply saying “correct” or “incorrect” as feedback, I recommend you provide situational feedback. 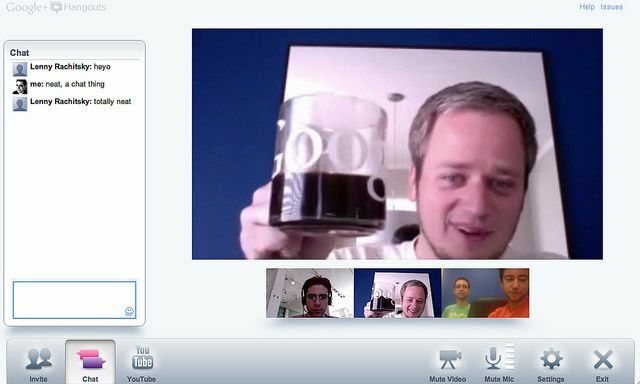 This idea, which has its origins in education, has also been embraced by video game designers. In a game, it’s important that the failures are interesting and varied. And primarily that you understand why the failure occurred. Consider this: You rarely see “correct” or “incorrect’ as video game feedback. You simply see or experience the results of your actions. So, what I recommend is that you don’t explicitly acknowledge “correct” or “incorrect” until your learner has had the opportunity to build their own mental models through trial and error. This is the same idea Montessori uses. Consider a computer programming course as an example. If you as the instructor see a learner input a bad piece of code, which do you think would be a more effective form of feedback? A: Stopping them immediately because they were "incorrect" and referring them back to a textbook? 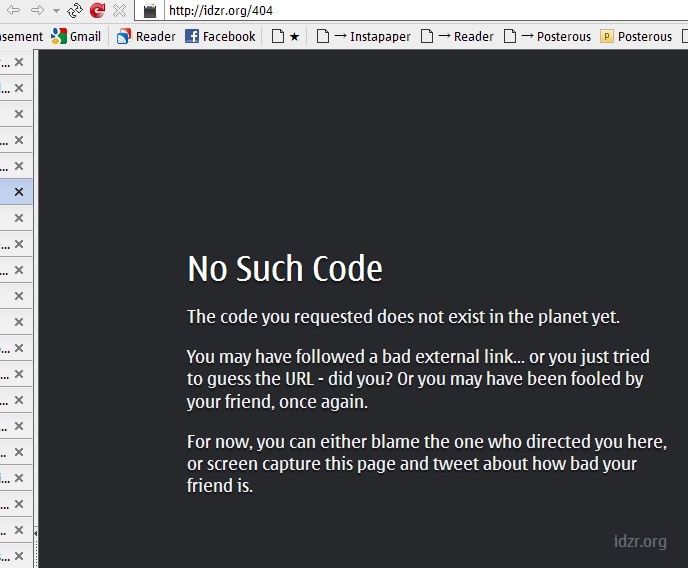 B: Letting them try to use that program, see that it’s not working, and then work backwards to discover the problem? The second form of feedback, the "trial and error" type, may be a bit more challenging for your learner, but they’re far more likely to learn from it. Well, these are the potential paths a learner would take to learn a skill. Let’s say a learner needs to master four skills to reach an achievement. Your course starts at Skill 1. A skill -or the learning of that skill- is made up of learning activities, tutorials, and other resources. This all helps your learners build the skill. They then move on to applying the skill - the application activity. This can happen through solving a question, or building something, also at this point they’re getting feedback on their performance. Next, they’re ready for an evaluation activity. The evaluation reflects the variety of practice sessions they’ve encountered before reaching this point. At this point, if the evaluation performance is successful, the learner can move on to the next topic, participate in an enrichment activity, or become a peer mentor for those that are not at the same level. However, if a learner is unsuccessful, the instructor determines if the failure is at a fundamental level, or is it that this learner is having troubles with execution. Based on this assessment, the instructor provides the learner with materials and activities that will address their needs, so next time, they may successfully move forward to completion. 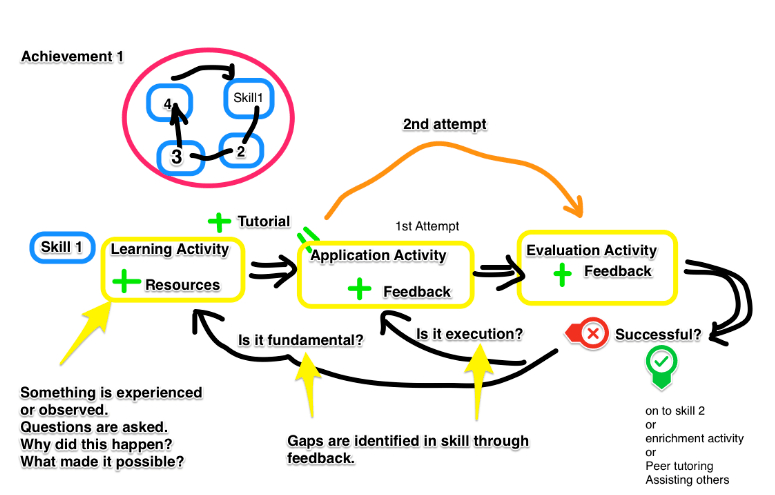 I hope this illustration gives you a clearer understanding of how to put mastery into action in your course. So, by now, we’ve covered a lot on the topic of Mastery Learning, and you should have a fairly good idea of what it is, why to use it, and how to use it. Even after educators have become quite familiar with this method of course design, many are still hesitant to put it into action. Until then! I shared a lot of info... what do you need to get started with Mastery Learning? If you appreciated this article, or think it would help a friend or colleague get better at what they do, share it with them!